The Religious Formation pillar encompasses the human and intellectual pillars of formation by providing a supernatural finality to the entirety of our educational efforts. All things are to be seen in light of the surpassing grace of knowing and loving Jesus Christ, who draws the baptized up into the joy of communion with the Most Holy Trinity. The entirety of the BRCS’s mission is entrusted to the patronage of the Sacred Heart of Jesus. 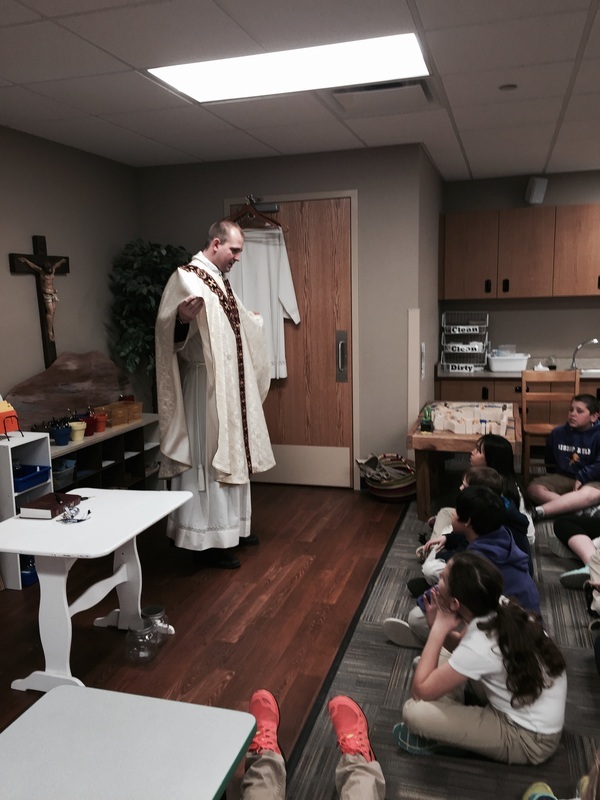 In order to lead our students into a deeper relationship with God the Holy Trinity, a panoply of devotional and liturgical experiences are integrated into the life of the school. The proximate purposes of the spiritual formation program are twofold: The first purpose is to evangelize our students by instilling a deeper conviction about the truth and importance of the Catholic faith. Secondly, the spiritual formation program is designed to foster normal Catholic practice in a structured environment so that the spiritual formation received at school is sustainable throughout the entirety of their life.